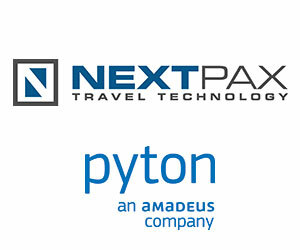 NextPax signed a partnership with Pyton, developer of custom-made software for the travel and leisure industry. The partnership will leverage the strengths between both companies and boost their customers’ range of choice with over 300,000 properties. Account manager Pyton Netherlands Silvia Vereijken: ‘With this deal, Pyton customers such as TravelClub, all Veluwegroep members, VakantieXperts, Prijsvrij and TUI Travel Agencies will (among others) also get access to over 300,000 leisure properties, such as rental homes and 300 holiday parks, currently managed through NextPax’ rental platform’. Offering over 300,000 available properties, NextPax is a global player in the online vacation rental industry. NextPax is the developer and supplier of PaxGenerator GDS, the leading vacation rental platform, seamlessly connecting property managers to channel partners. PaxGenerator GDS delivers real-time information on availability and prices, and on-line bookable accommodations, guaranteeing rate and inventory parity. Pyton, an Amadeus company since September 2015, is a Dutch travel technology company powering leading online travel agencies and software companies in the travel industry. Pyton has a strong international footprint with customers in 20 countries worldwide across Europe, the Middle East, Asia, the US, Canada and South America. Pyton is five-time winner of the Dutch Travel Innovations Award and has over 20 years of experience in the travel industry.